Tip One: Be Ruthless | This is the hardest thing to do, as the very act of starting to clear out a wardrobe is always the toughest. But, go at it with a determined frame of mind. How often have you worn it? Does it actually fit you? Does it even flatter you? Be serious with yourself and you’ll be able to get the number of items down in no time. Leave the nostalgia and ‘what if’ excuses at the bedroom door! Tip Two: Take Everything Out | This always looks like sheer chaos, but the best way to sort through everything is to take everything out and have it so you can see it. I tend to put tops, for example, on my bed then create one pile to keep and another for charity/blog sale. Once I’ve finished, I put the ‘done’ pile to one side and fill up a charity bag with the rest. Once you’ve done that for each section, you can place it back in (once it’s been neatly folded etc) and you’ll be surprised at the change in space. Oh and if you’re gonna sell some bits, make sure you set yourself a time limit. I typically say two weeks and if it hasn’t sold by then, it goes to charity! 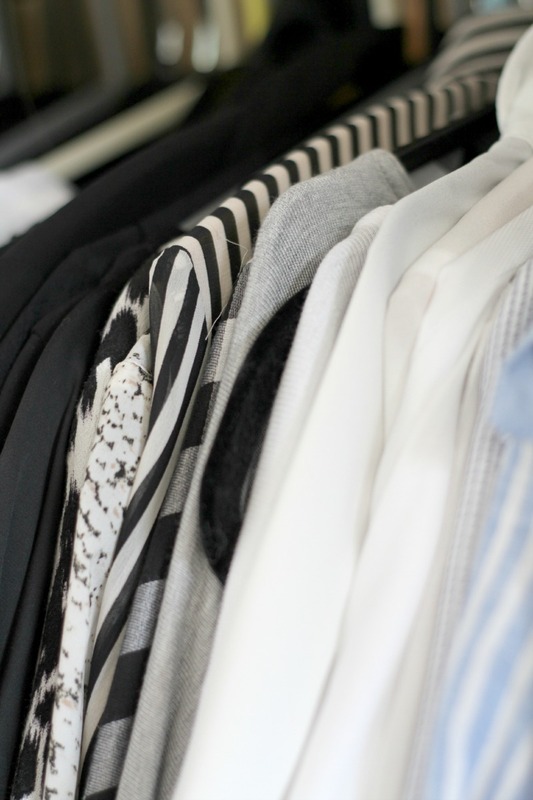 Tip Three: Organise Your Wardrobe | I adore doing this, as sad as it may be. I have my coats organised by length in one side of my wardrobe, then my dresses -> blazers -> short jackets on the top rail, jeans and shorts folded on my shelf in the middle and tshirts -> tops -> jumpers on the bottom rail. They’re then organised by colour (which isn’t hard when you have a mostly monochrome wardrobe) so it makes it easy to see where everything is, and for shopping purposes, what’s missing! Tip Four: Cover Your Basics | I recently wrote about staple wardrobe pieces, but it’s a good tip when you’re going through your collection. Do you have the basics? And by that I mean a good winter coat, some decent boots, jeans that actually fit… Don’t keep all the fun things and throw away the basics because they’re ‘boring’ or easily replaceable. If you find you don’t have the perfect pieces straight away, keep some of the ones that are closest to it and make a note to replace them with something better as and when you can. Don’t use this as an excuse to keep everything though! Tip Five: Keep It That Way! 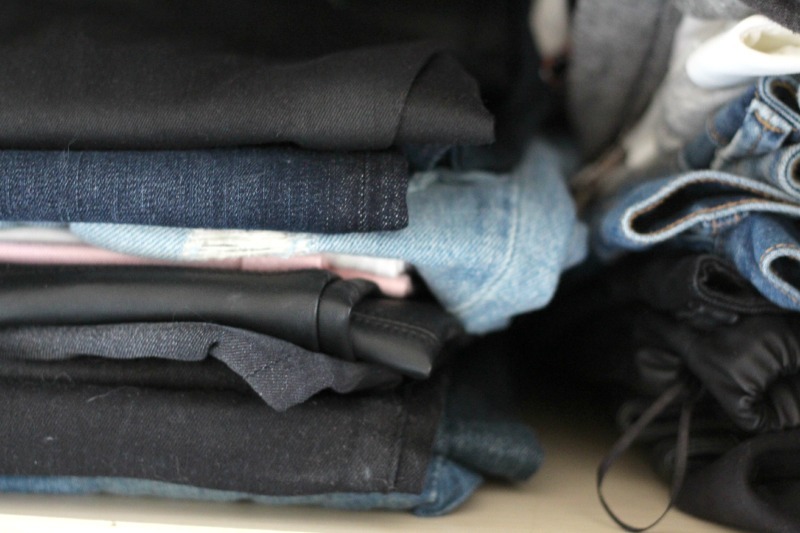 | Savour how nice it is to be able to move your rails of clothes without struggling, or to have your clothes crease free because you’re not jamming them in. I try to have a clear out every 2-3 months, as my taste changes quite often, so it keeps unworn or unnecessary items to a minimum. Now, I’ll probably never be able to get my shoe collection down to the bare bones, but it does feel nice to be able to fit everything in and know you really adore every piece you own. So they’re my top five tips on how to sort out your wardrobe. I honestly wish I could come round and help everyone do theirs, as it’s so therapeutic to me (weird, I know) and something I really love doing. I do aspire to have a minimal wardrobe some day, but for now my massively reduced one suits me well! 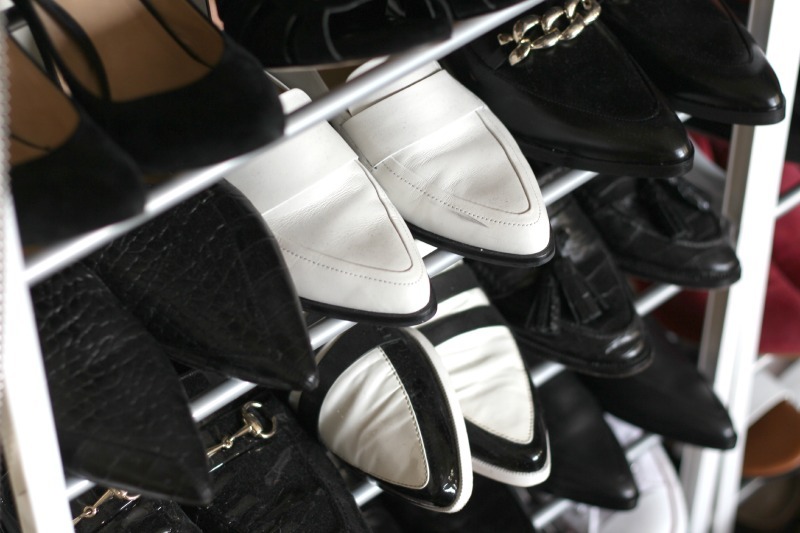 Do you have any tips on sorting out your wardrobe? On a side note, I set up a new beauty instagram called The Quick Beauty Review! I’ll be updating it daily with product reviews, so please take a look. Oh and my blog sale ends today! Check out these blogs: Abracadabra Girl, The What Now Blog and Jasmin Charlotte!